The Internet landscape is always changing and visibility in the digital world is becoming more competitive for businesses, making the job of online advertising professionals more important than ever. With Google Partners, certified advertisers have the ability to improve online visibility for companies large and small. On November 9-11th, the search engine giant hosted their annual Google AdWords Partner Summit conference in San Francisco. 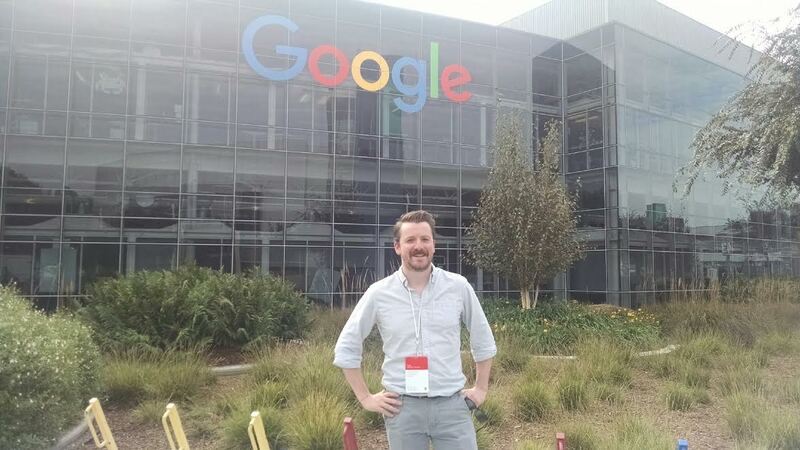 Mike Dahlroth, AdWords Manager for Boston Web Marketing, was one of 900 Partners from over 50 countries to attend the informational conference. With this year’s conference theme of “Now is Our Moment,” Google Partners kicked off the summit with a day full of educational seminars at the West St. Francis Hotel to discuss the future of Google AdWords and the online marketing industry. Along with a focus on the benefits of using ads and how to quantitatively measure successful campaigns, the seminars focused on the increasing need for and importance of mobile advertising and mobile friendly sites. This urge for mobile advertising and responsive sites comes in the wake of Google’s recent Mobile First Index announcement. Additional seminar topics included how YouTube and online videos will surpass television over the next decade as well as the importance of YouTube videos and video advertising for businesses. In an increasingly visual world, the race is on for online advertisers to master video optimization and video ads to improve both product and brand awareness for clients. The summit conference also covered how to use cross-device conversions to track online user conversions made on multiple devices such as desktops and mobile devices. Google Partners reminded advertisers that the option for tracking “soft conversions” — such as when someone reads a blog post about a company’s product — is available through the use of Google Analytics and other analytical platforms. Day two at 2016’s Google Partner Summit consisted of testing out additional, non-online marketing related, products such as Google’s Daydream (a Virtual Reality system), Google Pixel (their latest smartphone), and Google Cloud Storage. Dahlroth also had the opportunity to tour the Googleplex campus in Mountain View, CA and have lunch on the Google green. Boston Web Marketing is a certified Google Premier Partner company. Boston Web Marketing was selected to be a Google Premier Partner by meeting a high spend requirement across multiple managed accounts, showing a healthy amount of account activity, meeting performance requirements by delivering solid overall AdWords revenue and growth, and by maintaining strong relationships with clients. If your company is interested in paid online advertising or Search Engine Optimization services, contact our Boston-based full service Internet marketing company today at info@getfoundquick.com or call us at (857) 526-0096.